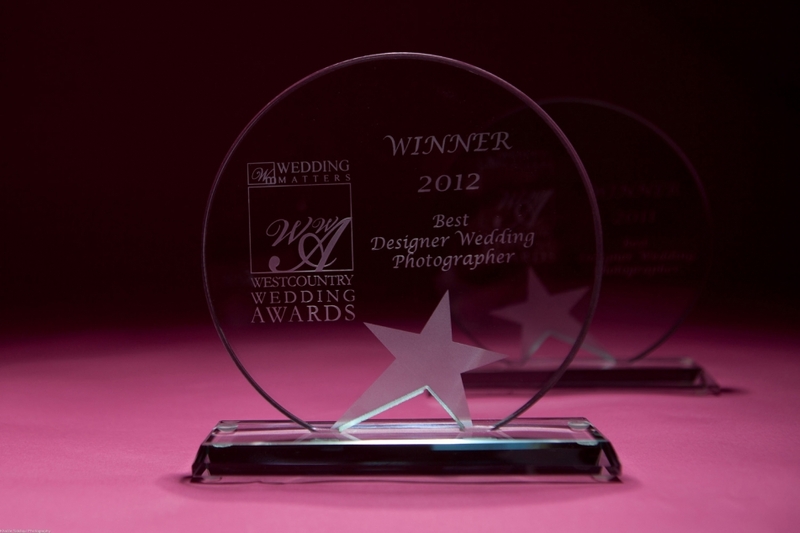 At The Westcountry Wedding Awards 2012, we were honoured to have won an unprecedented double win of the "Best Designer Wedding Photographer 2012" category. No photographer has ever won the title twice let alone doing it back to back, so we were really surprised to collect the title two years on the trot. 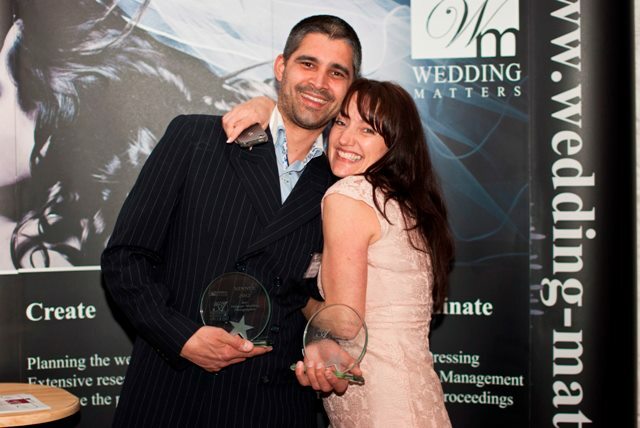 You may wonder how the awards operate, well, we notify our past wedding couples from the last 2 years that we have entered into the awards and also write a mission statement submitting it directly to the Westcountry Wedding Awards. Then the couples answer five questions and write a testimonial on our services online. 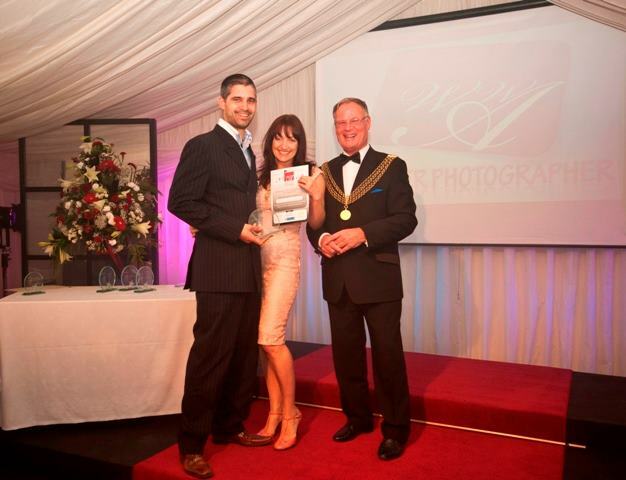 Then three judges who are independent to the organisers of the awards and also work independently to each other, compare our clients feedback to our mission statements, and then to our websites. So we feel this is a real world award, culminating from our whole service, and not just being judged on one pretty picture, and so means a hell of a lot more to us. Tamsyn and I would like to take this opportunity to thank our wonderful wedding couples for booking us and being as enthusiastic about their wedding images as we were. It doesn't matter how talented someone is, they are never going to get the best images, without the co-operation of all involved. And so to our wonderful clients........WE SALUTE YOU!